Hypno-Reiki is a blend of two deeply relaxing holistic healing treatments -- Hypnotherapy and Reiki. Scarlet Spy tried this treatment at Ragdale Hall Spa and spoke to Dr Heli Goode, the resident practitioner about the ins and outs of this holistic treatment. Hypno-Reiki combines the power of two ancient healing treatments. Reiki is an ancient Japanese belief-related therapy. Where a therapist lightly places their hands on, or just above, your body’s chakras (energy centres) in order to influence the flow of qi (life energy) through your body. Hypnotherapy involves a trained practitioner guiding you through a form of deep relaxation known as therapeutic hypnosis. A hypnotic state enables increased focus and heightened suggestibility where we can re-experience in vivid detail. In psychoanalysis, Sigmund Freud used hypnosis as a fast-track to the unconscious, enabling him to work with his patient’s repressed memories. This blended treatment involves being put under therapeutic hypnosis, where your therapist will perform Reiki and use a range of techniques to encourage you to deal with any underlying issues that were raised in the consultation. If you have any systemic disorders, it is recommended that you speak to your GP before embarking upon this treatment. You'll want to spend some time researching and ensuring that your chosen therapist is properly trained, too. Practitioners should have full Hypnotherapy or Neuro-Linguistic Programming Training (NLP), Reiki training and counselling. You should also prepare yourself mentally -- Hypno-Reiki isn’t the treatment for anyone with a closed mind. In order to experience maximum benefits, you should go in with an open mind and know what you want to achieve from your session. Make sure you are open and honest about everything with your practitioner. Your practitioner will want to talk at length with you before the treatment begins. They will ask a lot of questions about your health and lifestyle. It’s important that you are open and honest during the consultation, so that your practitioner can try to get to the bottom of any issues that you are facing and tailor the treatment to you. The treatment will also be explained in detail, so you will know what to expect and can prepare yourself. This is great time to ask questions or raise any concerns before the treatment begins. Your practitioner will ask you to lay down on the treatment bed. They will make sure you are warm and comfortable before the treatment begins. 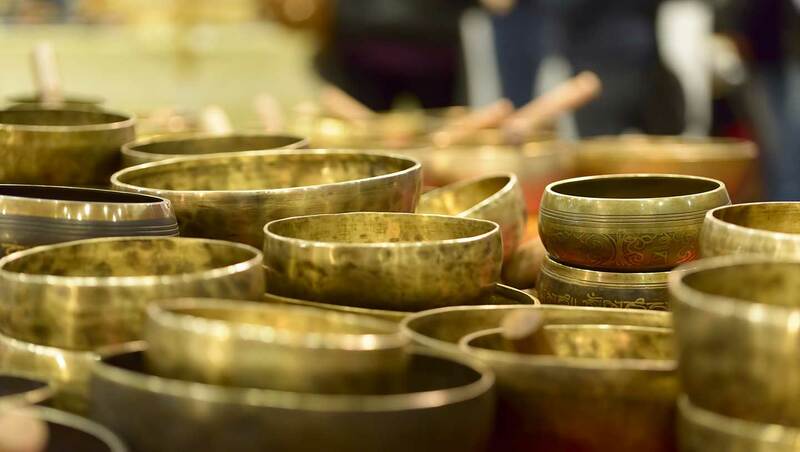 Music will play softly in the background as your practitioner places their hands on your head in a Reiki head hold and guide you into a state of meditative hypnosis. Hypnosis can be achieved in a number of different ways, but usually involves focusing on the practitioner’s voice. He or she may lead your through a series of deep breathing and relaxation exercises. Once under hypnosis, the practitioner will begin the Reiki aspect of the treatment. This usually begins with them guiding your focus to the sensation of their hands upon your head, and the feelings associated with this. They will move their hands around your body, from your head right down to your toes, working on one specific area at a time. The feeling of the qi energy is different in each person, according to Dr Goode. People have described it as a heaviness, warmth, tingling, light feeling, colours or emotional relief. 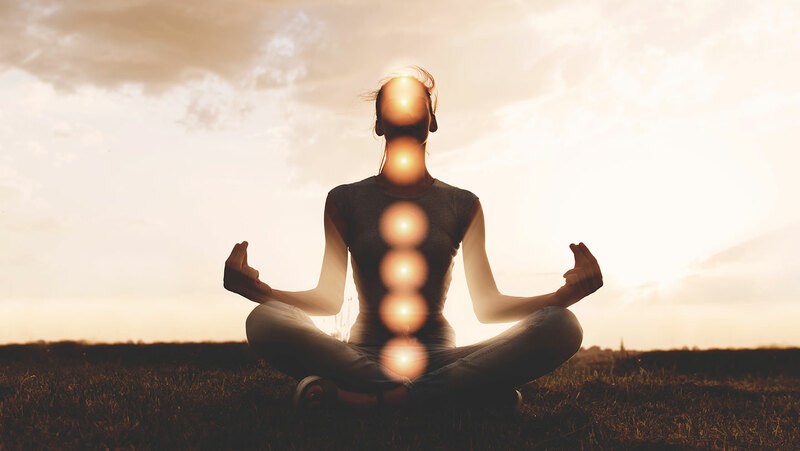 Once the practitioner feels that the energy in the body has been rebalanced, they will then use a range of visualisation exercises and repeat positive phrases linked to the issues that were raised in the consultation. Your practitioner will then bring you out of hypnosis, by counting slowly to ten, let you come around slowly and discuss the treatment with you. Bring spare swimwear. 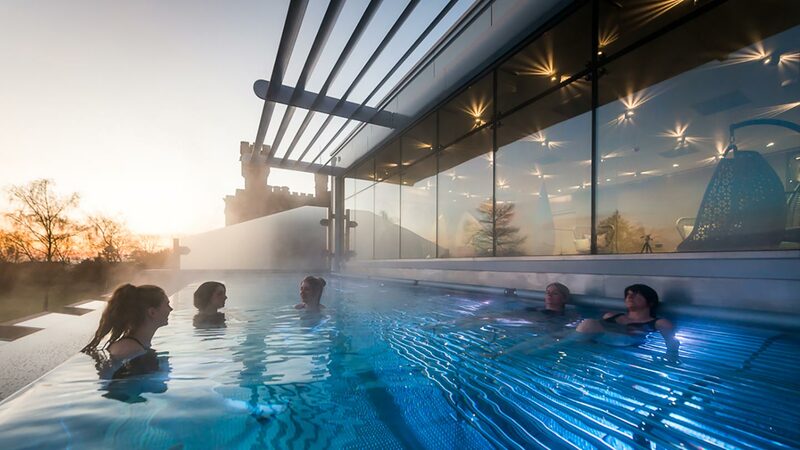 If you’ve spent the day in the pool and thermal facilities, change into something dry before having Hypno-Reiki so you feel more comfortable and less damp. Each person’s individual response to the treatment is different as it’s tailored to your specific concerns and needs. However, you'll hopefully feel very relaxed by the end of the session. Take some time to reacclimatise to your surroundings and don't dash out the door before you're ready. We would recommend leaving yourself a good few hours before driving, too. Dr Heli says that common responses can include feeling physically relaxed, warm and tingly, light, relieved, happy and hopeful, confident, or even sometimes tearful. It differs from person to person and session to session, but any feeling response to this treatment is perfectly normal. Dr Heli explains that results, such as relaxation, are noticed straight away while the effects of hypnotic suggestion may become apparent a couple of days after the session. 4-5 sessions are the recommended amount. I was hoping a Hypno-Reiki session would help me deal with my everyday stress, anxiety and exhaustion. I had previously experienced Reiki and knew that I liked it, but having never had Hypnotherapy before, I was both intrigued and had slight feelings of trepidation. Dr Heli Goode made me feel at ease by explaining the treatment and describing what it felt like to be under hypnosis (deeply relaxed and in a meditative state). In my in-depth consultation, which was a bit like a therapy session, I was able to talk easily to her about day-to-day worries to childhood experiences. We then talked through the treatment in more detail. I lay face up on the treatment bed in my robe. Music was playing in the background as Dr Heli guided me into a meditative hypnotised state using her voice, breathing exercises and visualisation techniques. With each deep breath I fell further and further into a relaxing slumber – I didn’t know I could ever feel this relaxed! 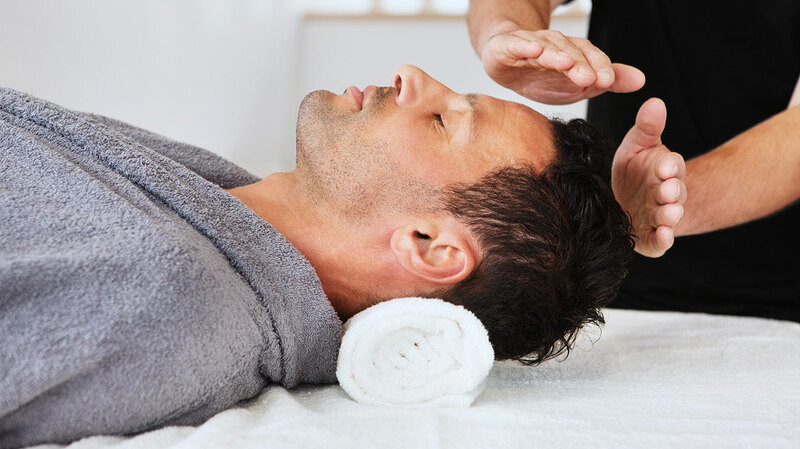 She gently placed her hands on my head in a Reiki head hold, getting me to focus on the feeling where her hands were – it felt all warm, fuzzy and pleasantly tingly. Dr Heli asked me to focus on the positioning of her hands and visualise them moving from one body part to another. When my whole body felt warm, tingly and fuzzy, we did some colour visualisation; rather surprisingly, I discovered that the colour I most associate with calm is red. She repeated various positive affirmations related to my ability to handle stress throughout the treatment. These were repeated more frequently before she bought me out of hypnosis by counting to ten. I was surprised at how quickly I awoke. I felt brimming with energy, but with a calm and balanced mind. Perhaps due to the affirmations, I also felt empowered and equipped to take on the world. This feeling lasted for weeks afterwards, and I find myself thinking of the colour red and taking deep breaths when I’ve been stressed ever since. I was so impressed with the results of my treatment: Hypno-Reiki is definitely something that I’d like to do regularly. I’d whole-heartedly recommend Hypno-Reiki to anyone going through a bit of a rough patch or needing some direction in their life. You can book in for a Hypno-Reiki session with Dr Heli Goode at Ragdale Hall Spa. Sessions last 50 minute and costs £81.